In a push for construction of Ram Temple in Ayodhya, the Vishwa Hindu Parishad (VHP) held a massive rally at Delhi's Ramlila Maidan today. This comes days before the commencement of the Parliament's winter session. 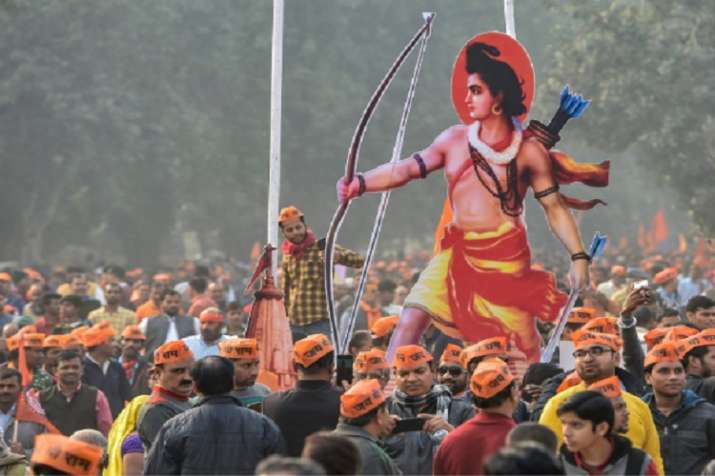 The VHP, which has been demanding a bill for construction of a Ram temple in Ayodhya, said it was confident that it would be tabled in the upcoming winter session of Parliament.